Whenever I buy gongura I miss the gongura plants in my-laws place which is hardly use and I make a mental note to try few dishes whenever I go there but then that never happens, hopefully this time I can do something about it. For those whom doesn't know how gongura or sorreal leaves looks like here is a picture for you to give you a idea. Gongura has high source of iron, vitamin, folic acid and anti-oxidants. 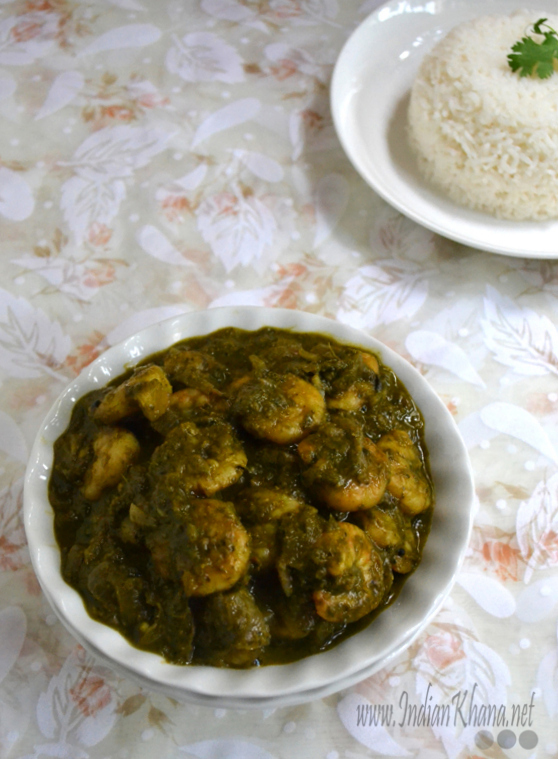 In Tamil known as pulichakeerai and sorrel leaves in English. There are two variety of gongura green leaves and red leaves, red leaves bring more on the sour side. Other than gongura royyalu, gongura pachhadi, gongura mutton, gongura pappu, gongura pulihore as famous recipes. 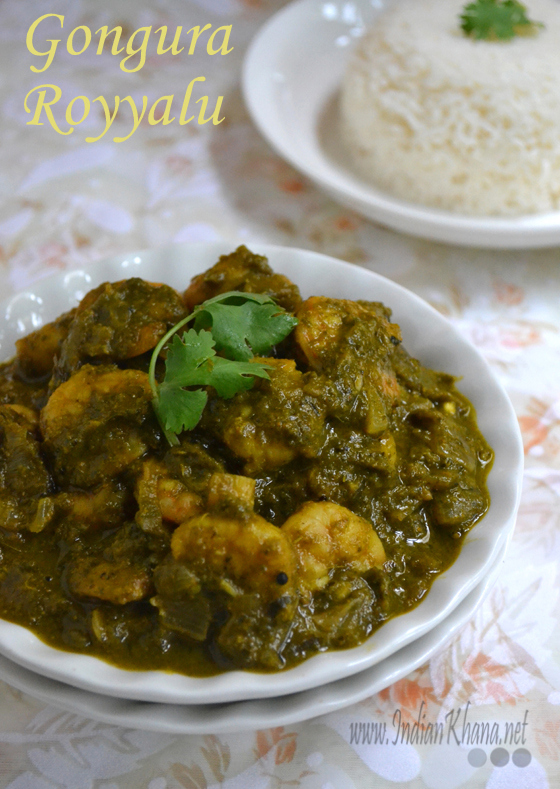 If you like tangy, spicy food then you will sure love gongura and all the recipes related to it. 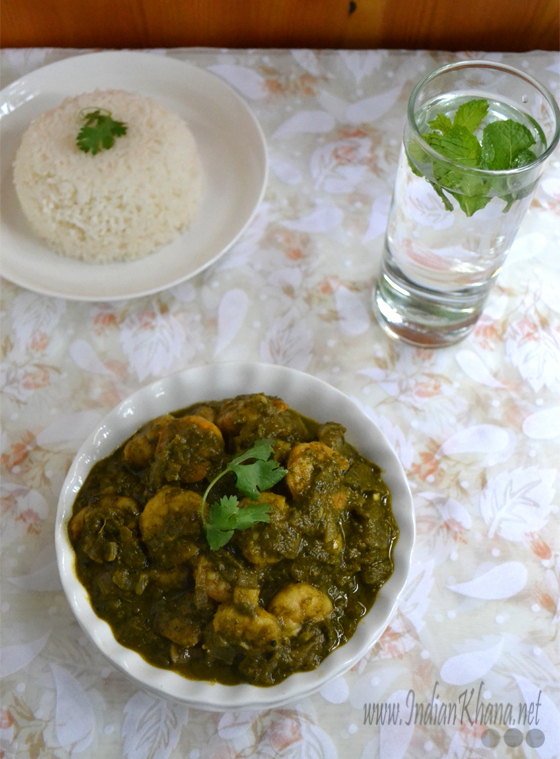 I added little water to make a little gravy type as a side for rice you can skip water and make it a dry version too, so here is simple and yet delicious gongura prawn today. 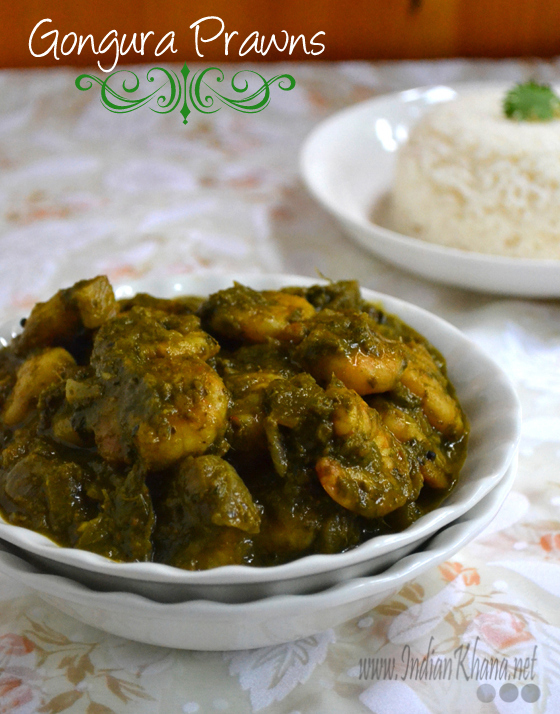 You can check gongura pachhadi recipe here. 1. 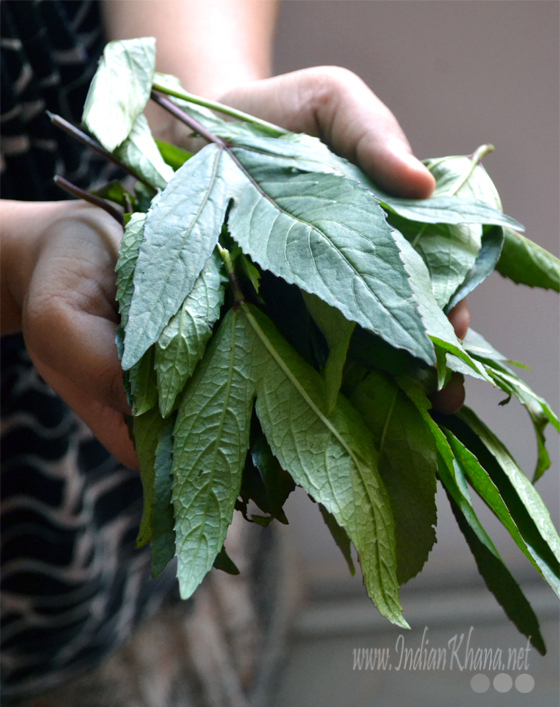 Pluck leaves from branches and wash well gongura leaves, chop onion keep aside. 2. In a pan add 1 tsp oil add chilli and saute, add gongura leaves and saute until well cooked around 10 minutes in low flame. 3. Remove from pan allow to cool and grind to fine paste, use water only if required. 4. In the same pan heat remaining oil add hing, mustard seeds, curry leaves and allow to splutter. 5. Add chopped onion and saute until soft. Add ginger garlic paste and saute for 2 minutes. 6. Add coriander, turmeric and cumin powders mix well. 7. Now add washed prawn, stir and cook for 5-7 minutes or until prawn starts leaves water and gets almost cooked. 8. Add gongura paste and mix well saute for a minute. 9. Now add water if using and adjust salt, add pepper powder(if using) and simmer for 10 minutes in slow flame. Our prawn is ready enjoy it warm with steamed rice.